Paralympic sprinter Alicja Fiodorow, from Poland, is a European, World and Paralympic medallist that has represented her country at three Paralympic Games; Athens, Beijing and London, winning medals on all occasions. 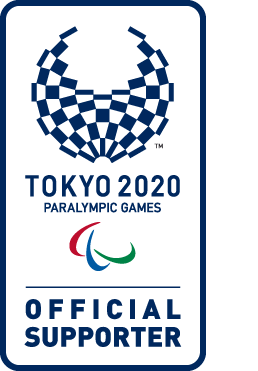 And now, Fiodorow has her sights firmly focused on the 2016 Paralympic Games in Rio, when she hopes to fulfil her dream of becoming a Paralympic champion. At the age of 13, Fiodorow, who has a limb deficiency, became interested in sports, taking up table tennis and joining an after-school athletics class. In 2004, she entered the major international stage at the Paralympic Games in Athens winning a bronze medal in the women’s 400m. In 2006, she became the 400m World Champion in Assen. She improved on her Paralympic achievements in Beijing at the 2008 Games when she won a silver medal in the women’s 200m and a 100m bronze medal. At the Paralympic Games in London in 2012, Fiodorow won the silver medal in the 200m and a 400m bronze medal before claiming the gold medal at the European Championships in Swansea in 2014. She is now aiming to finish on top of the podium at Rio 2016. Career Highlights: Winning European and World Gold for the 400m and three bronze and two silver Paralympic medals.